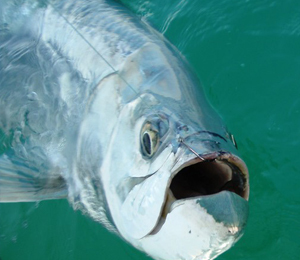 Barracuda fishing in Key West is always a favorite for Key West flats fishing. The barracuda is known as the tiger of the flats. They have extremely good eyesight, are highly intelligent and exceptionally fast. The Cuda's eyes are looking for fast movement, or injured bait fish. It is the true predator of the shallows. The size range is from 5-30 pounds. The large fish are usually found swimming in the flats alone while the smaller fish swim in schools. Key West Charter Fishing for Barracudas are found year round in the Keys. The winter months through early spring produce more barracudas on the flats. The ideal water temperature is between 75-86 degrees. Knowing the right time to go after the species you are fishing for is paramount to having a successful fishing trip. 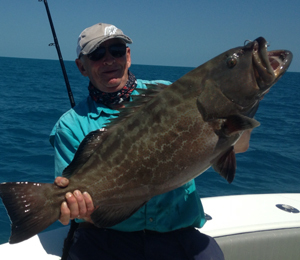 Most fishing charters in Key West will tell you Barracudas are most often caught while flats fishing in Key West. Normally they will be found around white holes waiting to ambush bait. They are also found on the edges of channels in the Key West flats fishing areas. 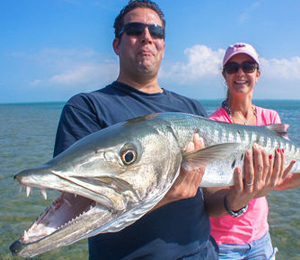 When barracuda fishing in Key West, the tube lure has been the lure of choice. It is fluorescent red or green and resembles a needle fish or ballyhoo. The lure snakes through the water and gives the look of a needle fish, which is a Cudas favorite food. 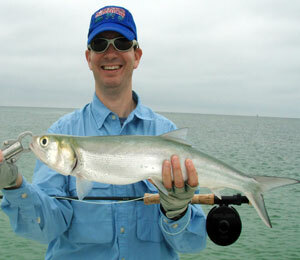 Most of our Key West flats fishing guides use a fly rod when barracuda fishing in Key West. The fly rod should be between an 8-10 wt. It should have at least 150 yards of 20# backing and a needle fish pattern and short piece of wire. The spinning outfit should be between a 10-20 pound setup. Only the best fishing charters in Key West can show you how to hook, reel, and land a barracuda without having them break your line. Our fishing guides are amongst the best in the world and are routinely sought after for their unique experience and understanding of this species of fish.